Because it is setup, he/she goes out as soon as I arrived. As it is all finished made by, I can wear it immediately. You wear everyday outing, the lunch with the friend willingly and can go out. ※As it is the state that the trunk is opening, I can do it in the width that oneself likes and am particularly recommended for a tall person. 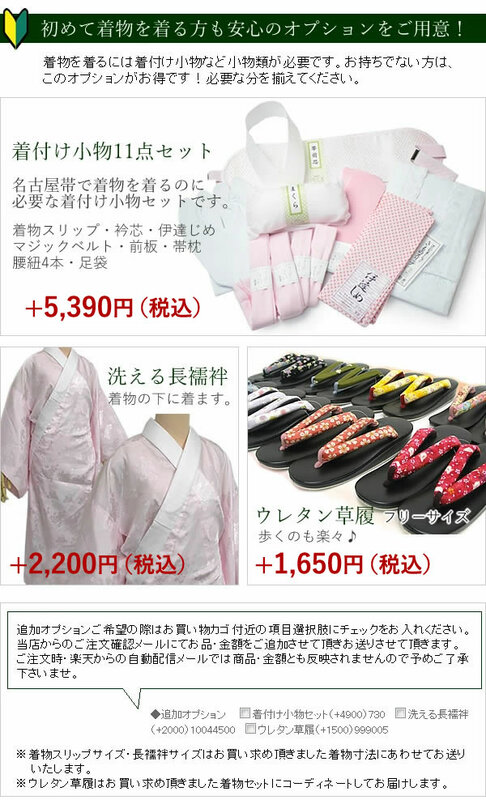 A kimono, the obi is available for washing at home. But it is not necessary to wash the obi in the degree that I wore. I prepare the washing net for the kimono. ※As the free shipping becomes not intended, in the case of international shippings, foreign countries shipment, approve it.